The digital versions of The Amazing Spider-Man and The Amazing Spider-Man 2 were delisted on January 4th, 2017 for Steam, Nintendo, Xbox and PlayStation platforms. In 2005 Activision had renegotiated a licensing deal with Marvel for the exclusive publishing rights to the Spider-Man and X-MEN properties through 2017. 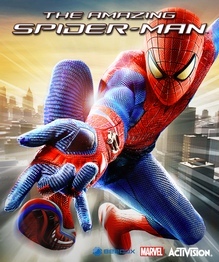 While several Marvel titles from Activision had been delisted in 2014 (with a select few being re-released in 2015 and 2016), The Amazing Spider-Man games based on the Sony Pictures movies were not. Presumably, these games were secured under the original 2017 deal or a subsequent deal with Sony Pictures that may have expired in 2016. Both Amazing Spider-Man games were also delisted alongside Activision’s Teenage Mutant Ninja Turtles: Mutants in Manhattan release. The Amazing Spider-Man remains available on physical media for PC, PlayStation 3, PlayStation Vita, Xbox 360, Nintendo Wii U, Nintendo DS, Nintendo 3DS and the Nintendo Wii. Spider-Man’s Triumphant Return to New York – The Amazing Spider-Man brings everybody’s favorite web-head back to Manhattan and marks the return of fan-favorite free-roaming, web-slinging gameplay. The return to a lively, dynamic Manhattan blended with a rich, driven narrative delivers the next evolution of the Spider-Man gameplay experience. Web Rush: Player Choice Evolved – The Amazing Spider-Man video game also marks the debut of Beenox’s innovative Web Rush game mechanic, which gives players real-time navigational and combat choices. Web Rush can be triggered on the fly, at any moment and immediately presents players with a variety of situational choices, letting them really BE Spider-Man as they fight crime and pull off his signature acrobatic moves like never before. Find Out What Happens Next – In an all-new epilogue story crafted by Hollywood writer Seamus Kevin Fahey (Spartacus: Gods of the Arena, the re-imagined Battlestar Galactica), players take on the role of a young Peter Parker with his newfound Spider-Man powers and abilities in a thrilling adventure that takes place entirely after the events of the 2012 film reboot. The game’s original storyline will allow fans to uncover more of Peter Parker’s untold story. Push Spider-Man’s Abilities to the Limit – Armed with The Amazing Spider-Man’s new Web Rush ability and evolved combat mechanics, players are challenged to think and act quickly and strategically, as Spider-Man faces off against reimaginings of classic Marvel Super Villains as well as original, larger than life enemies – some of the biggest ever seen in a Spider-Man video game – while racing to save Manhattan.